Register Log In GliderCENTRAL Forums Behavior & Anatomy What noise is this? My female sugar glider made this noise constantly last night on her wheel and started making it again today when I turned on a heater near her cage. She recently recovered from a respiratory infection, could it have something to do with this? It was slower today than in the video. 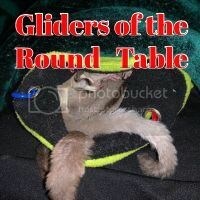 She's a lone sugar glider too if that would have anything to do with it. I do have 2 other suggies I want to eventually bond her with once she gets bigger. Was she running in the wheel when she made this noise or sitting there? First time she was running on her wheel second time she was sitting nearest to the heat. She sounds like my Yoda! He started making frequent sniffly squeaky noises about a month after I adopted him as a joey. I took him to the vet about his noises, and she said that as long as there isn't any mucus, there's no problem with the sniffling. It's just his exploration and grooming noises. 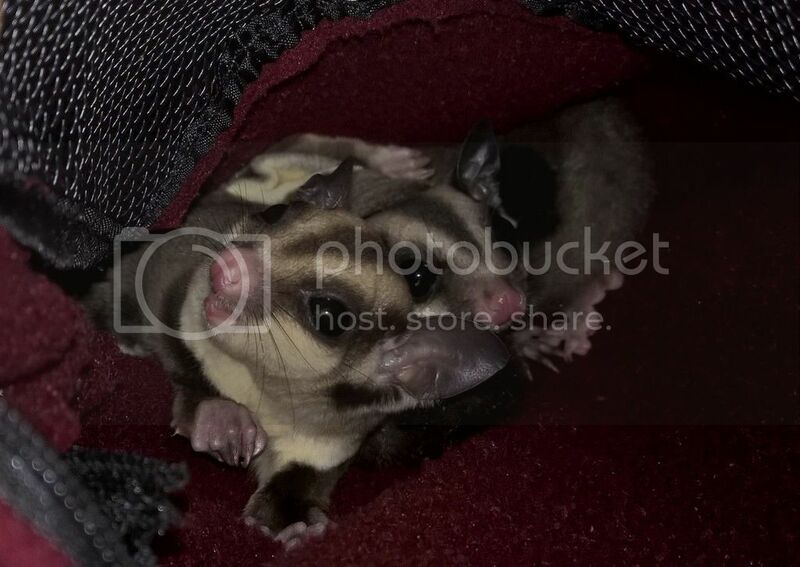 My female glider rarely makes those noises, but Yoda does it almost constantly when he's awake. It's actually pretty convenient since that makes it easy to find him during out of cage play time, and it's unbelievably cute. I thought Yoda might be unique, but it's nice to know that there's another sniffly glider out there. To me it sounded like chirping, was he eating anything? Same as Dawn's fuzzy, it sounds like a louder version of the content sound all of mine will make. (Well, except Arthur, he squeaks.) The girls I am able to hear if I'm nearby whereas Merlin I'll only hear when we're very close.